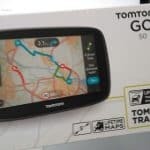 TomTom Sat Nav – High Speed Multi Charger - Which Sat Nav? sees the kids looking to charge their tablets, the wife wanting to charge her camera and my phone needing a charge. On top of all this wangling and bartering for the chargers we still have to get to our destination. This we can only do if the sat nav is plugged into its charger using the cigarette port. This therefore means that we have one less point for charging devices and the typical chaotic family car journey begins again! This is why I purchased the TomTom Sat Nav – High Speed Multi Charger, in the hope that future journeys will be a little less stressful! 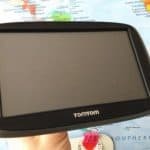 What is the TomTom Multi Charger? As the name suggests this bit of kit is designed to provide additional USB ports in the car. It has the capability to charge three items at once and one of the output ports is a high speed fast USB charge. If the manufacturer claims are correct then I would have a more peaceful drive and would be a very happy man indeed! In the hand the device itself feels sturdy and well made. This is an absolute must in our car. The kids have a habit of climbing over the rear seats and the rear charging point is always in their way. We have had more broken chargers and bent wires than I thought possible in the last couple of years. The device is almost twice the length of the standard TomTom car charger. It is 10cms in length and just under 5cms in height and just under 3.5cms in width. I can see that the size and shape of the charger may cause problems for some users. It has a rather bulky head which may not allow everyone to use the three chargers at the same time. Running the various cables from this device will also add size to the unit. Another feature of this device is a green light on the front just above the lighter section. This comes on when the device is in place and working correctly. It’s only a small thing but it is a useful and helpful feature. On countless occasions I thought I was charging my phone in the car only to find that the unit wasn’t put in correctly and nothing charged. For me this sturdy charger does exactly what it says on the tin. It provides additional charging points in the car and it does it well. The fast charge works (great for the iPhone) and the other points mean that those long car journeys are a little easier. Although it wasn’t an issue in our vehicle I can force problems for those who do not have a lot of room around the lighter unit. There have been some reports of BMW and Jaguar owners finding it difficult to operate due to the lack of space around the console area. Does exactly what it says on the tin - charges multiple devices simultaneously. The fast charge works well on iPhones and tablets. Although you should make sure that there is enough space around the lighter unit for the charger. The TomTom looks like a great charger overall. I can’t stand it when I’ve got to charge any number of devices in my car, only to find that I don’t have enough USB’s for everything. This charger looks like a great way to get some peace of mind. Also, the fast charge feature is definitely a plus! Thanks for the info here. very solid prodcut review and also a clean and sharp website. I loved the poll and pictures used in this post. It showed me the benefits of the charger and how it is used. It also shows how it can help people and that is the most important thing. The cons were also very helpful. Thanks for the post I am interested. Great Review. 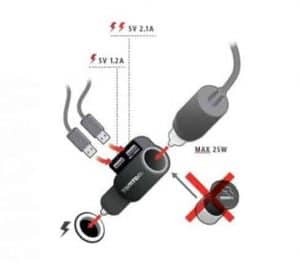 I have been looking for something that allows multiple devices to charge in the car and this looks perfect. It can really be a headache taking turns charging devices on trips but this will be extremely helpful. The bulky size isnt a big deal, well atleast in my car it wont be. Thanks again. The USB chargers have been life saving on so many occasions not only for our phones but keeping that IPad charged for the long rides with kids. I have a question – the green light which shows that ‘all is well’, how bright is it? I had one which had a blue light and somehow in dark I found it very distracting, I prefer kind of amber soft light. I never even know these things exited. Now I know I can charge my devices without unplugging the sat nav. It’s always been a case of sacrificing one for the other. In this day and ages it is now a necessity to run all these devices and we are not always home to do it. I’m gonna get one of these. This looks like it could be a great solution to a problem that has to annoy lots of drivers. Charging all our various devices in the car can be a so frustrating! I like the fact that you can see with the light when the charger is properly connected and providing power. Many thanks for the review, I’ll let you know how I get on with one of these!